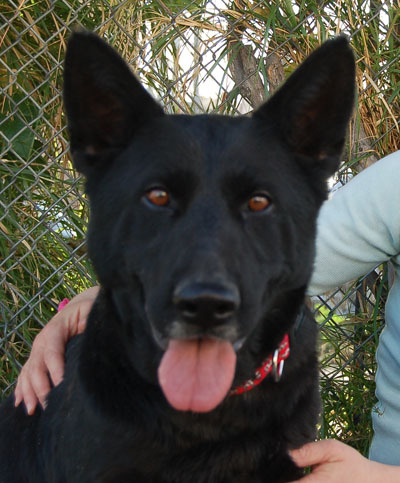 Mia von Munster is a beautiful 4 year old black German Shepherd with a touch of Lab. 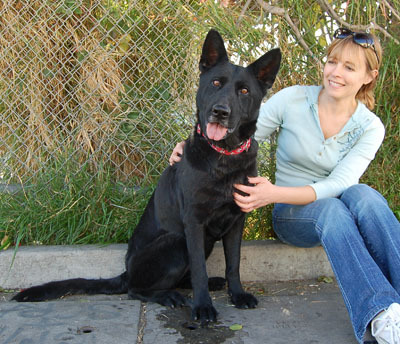 She is on the smaller side for a shepherd; her correct weight would be around 60 pounds. 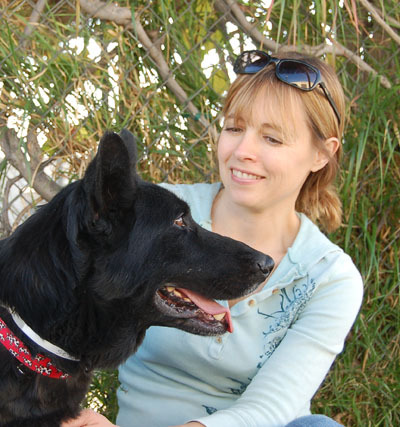 She obviously came from a family who spent time with her, she is beautifully trained and knows her commands well. She is easy to walk and mild. She rode well in the car with the volunteer who picked her up. 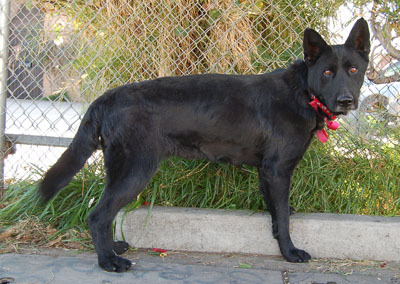 Mia would be great for a first time owner or just someone astute who wanted a great dog.